Today only Amazon has Anki Cozmo, Vector and Overdrive robotics on sale for 30 to 43% off. There are 5 items included in this sale. 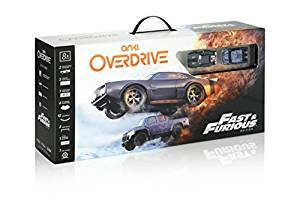 The cheapest item and the best deal is the Anki Overdrive Fast and Furious edition on sale for $97.50 (regularly $169.99). Battle against or alongside the Tourette crew with this interactive racing game from Anki OVERDRIVE. Complete missions, trigger massive virtual explosions and face off against intelligent opponents with your Anki Overdrive: Fast & Furious Edition.